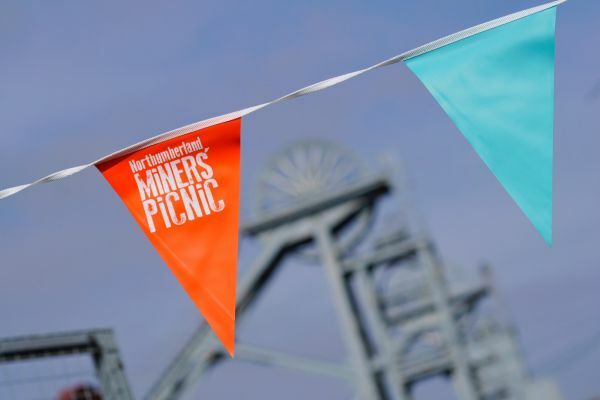 You're warmly invited to the Northumberland Miners Picnic 2019 Celebrate the Northumberland Miners’ Picnic, a jam-packed day out for all the family, the Miners’ Picnic is rooted in our local heritage re-imagined with a contemporary twist. The stage starts with the Miners’ Memorial Service at 10.30am. Explore our pop-up family friendly activities including the Pityard art tent, circus skills, face painting & much much more. Discover some of the region’s tastiest treats and unique crafts in the Northumberland Picnic Market located in our historic Workshop Galleries Remember… the people, places and industry that brought us the tradition of the Northumberland Miners’ Picnic at the Miners’ Memorial Service. Northumberland Miners’ Picnic Admission is free, but a parking charge of £5 applies. Main Car Park: At the former ALCAN/Rio Tinto site with a Park & Ride service. Please follow signs. £5 per car. Allow up to 20 minutes for transfer. Blue Badge/Accessible Parking: available at the Woodhorn Museum site £5 per car. Bus: Free shuttle bus from Ashington Leisure Centre.